Get real-time access to trade ideas that can help you profit! EXCEED 10,000 PIPS IN NET PROFIT – ALL IN A QUARTER! In the Month of February 2018, Our Trade Ideas have generated potentially more than 1,000 pips! Would you like to earn 1000 pips every month? That would have gave you a profit of 10,000 USD with a standard lot size! How much would you invest to earn 1000 pips every month? $500? $1000? No, you no need to pay any above amount to earn that 1000 pips! Listen carefully, this is the deal here that we only offer for a limited time. Once we hit our subscriber limits we will raise our subscription back to $300/month. Now you won’t believe what I am going to tell you next. If you have decided to subscribe now, you ONLY need to pay 297 USD per month!! Just 297 USD you stand to receive trade-ideas that produce a potential profit of 10,000 USD or more. Yes, you didn’t hear wrongly! We am giving away this crazy deal to help those who want to learn how to spot profitable trades! ONLY 297 USD monthly with potential earning of more than $10,000! Every Update Guarantee*- Your trade-ideas package includes access to every future update & addition we make to the platform at no extra charge to you. This means new add-ons, new software, etc. are all included and this will remain effective for as long as your keep your membership active. With an active membership you’ll never have to work about costly up-sells, hidden fees, or missing out on the next awesome update. Price Lock Guarantee**- If you sign up for a trade-ideas package and receive a promotional price, then we will honor that price for as long as you keep your membership active. You’ll never have to worry about unexpected price increases from one month to the next. However, if you cancel your membership and decide to return, you will have to do so at the current market rate. How does Forex100 Trade Ideas System works? Every month We will help you to spot precise trade entry levels we have identified. We will explain the full rationale of the setup levels in the videos. What is Forex100 Trading Entry Price, Cut Loss Price, and Profit Price? SUBSCRIBE TO FOREX100’S TIS & NEVER LOSE SIGHTS OF TRADES WITH THE HIGHEST POTENTIAL! Be privy to the personal analysis and potential trades of Master Entrepreneur & Trader (Rayn Lim) & Certified Harmonic Patterns Trainer and Trader (Boon Hooi) what they do on a day-to-day basis; how they trades. An attributable, account market analysis and alert service that does not hide behind brands or machines. How much more trustworthy can a school gets? Started trading since 2005, started teaching since 2008. 2009: He was invited to teach Forex Trading in China, Guangxi, He Chi. 2009 – 2013: He spent most of his time educating the Chinese to trade. 2011: Conducted a 400pax Forex Education Seminar in Malaysia, KL. Did a Live Trading and achieved a total of 144 pips profit in a Single Trade. 2013: Organizer of RothStar100, Panel Speaker with Mr. Jim Rogers to address currencies-related questions raised by distinguished guest from Singapore, Malaysia, Australia, Myanmar and China. How Does Trade Ideas Works? Identify Harmonic Patterns with 2 Professionals in Harmonic Patterns. Those trade that you see instead of EP[entry price], it is replace by Buy Limit or Sell Limit are trades that our traders place pending orders. Benefits: Professionalize your Forex trading + Get the trade plans of a professional trader* Learn Forex Trading on the GO with Video explaination and behind the scene analysis. 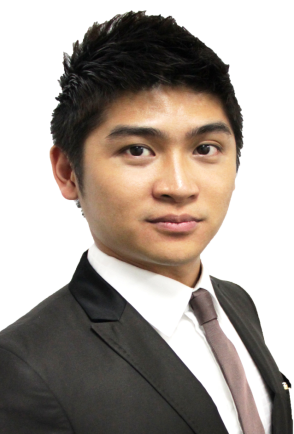 Boon Hooi is the ex-founder of HarmonicForex.com, now working closely with Forex100Academy to bring you more educational contents. He has been trading for 10 years on various type instruments including Stocks, CFDs, Indices, Futures and Options. In recent years, he has been mainly focused more on Forex trading.